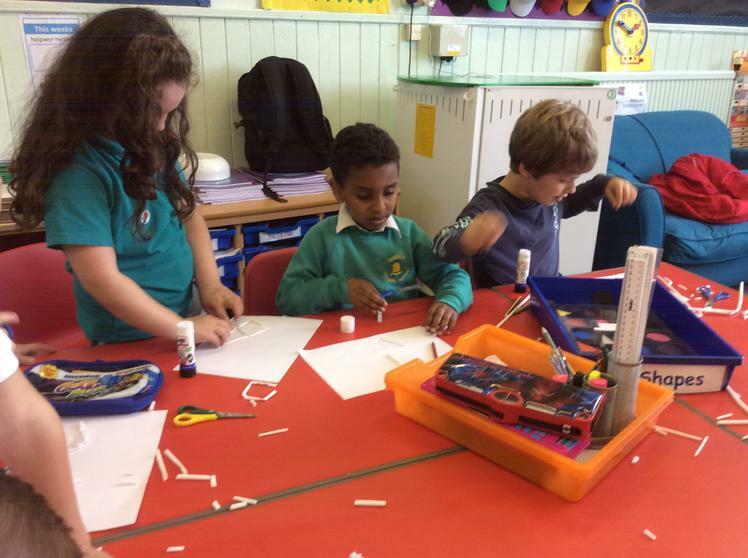 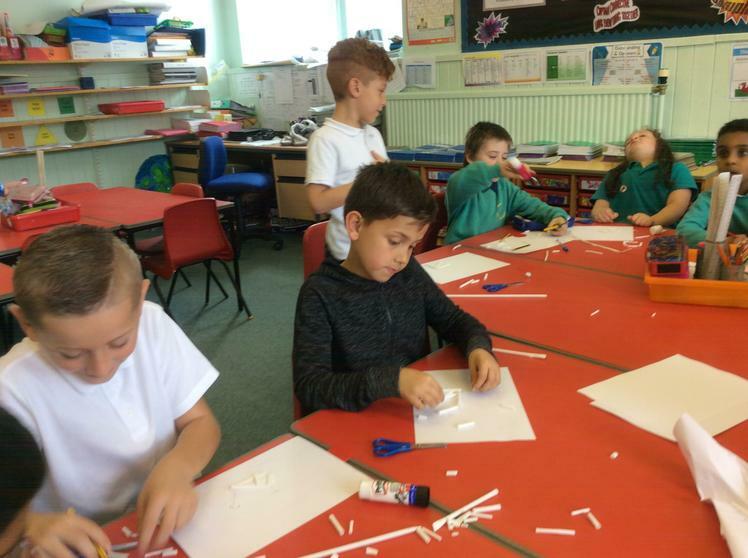 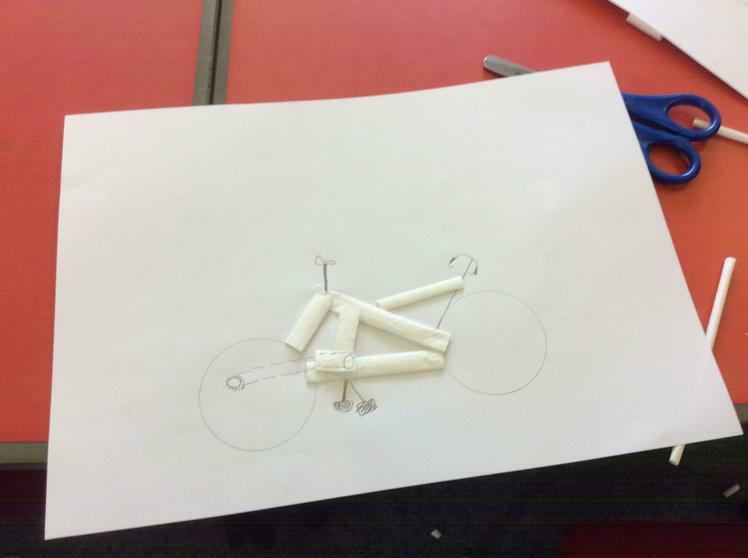 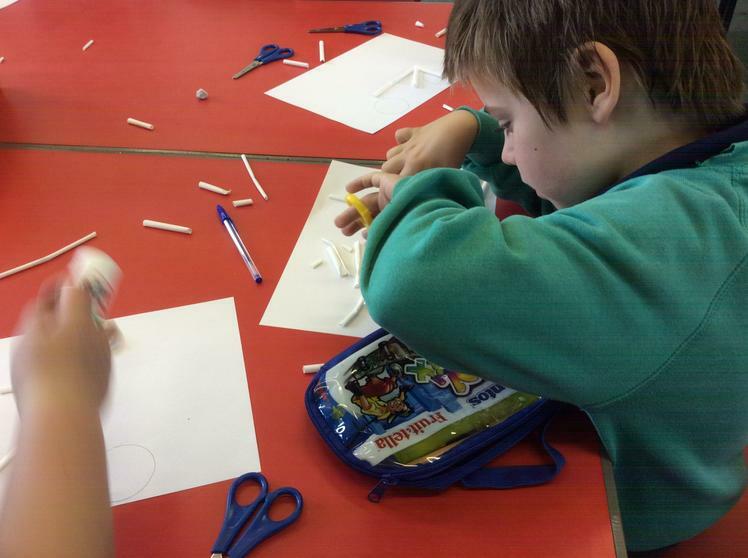 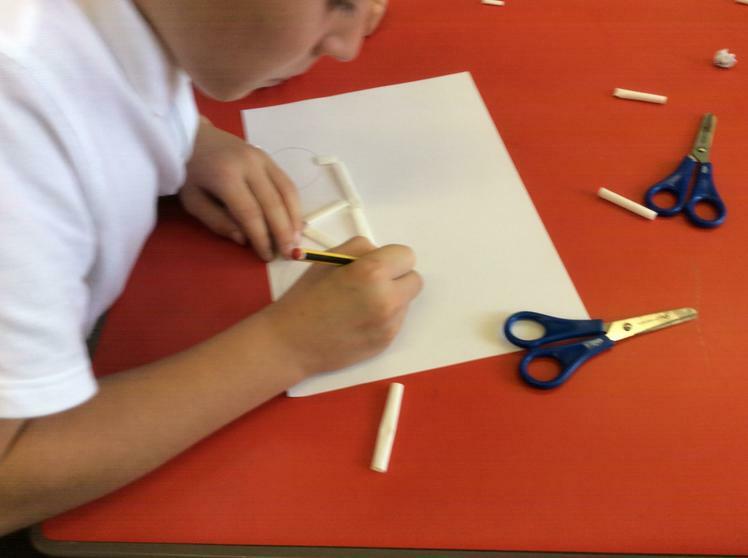 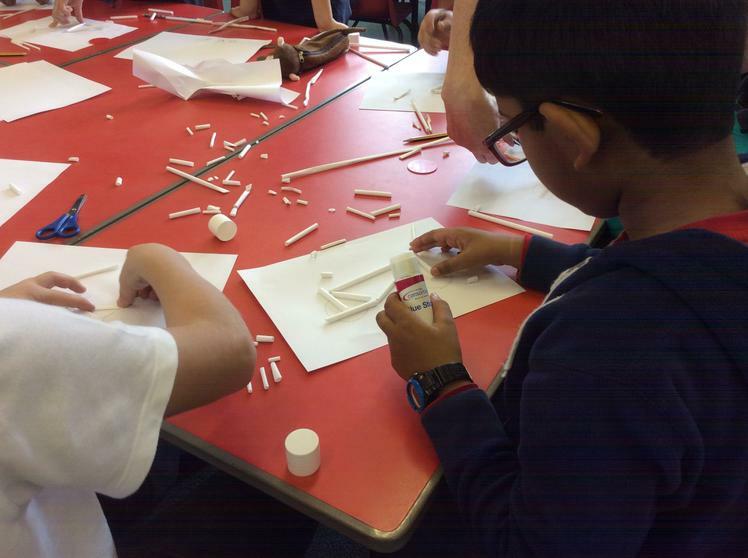 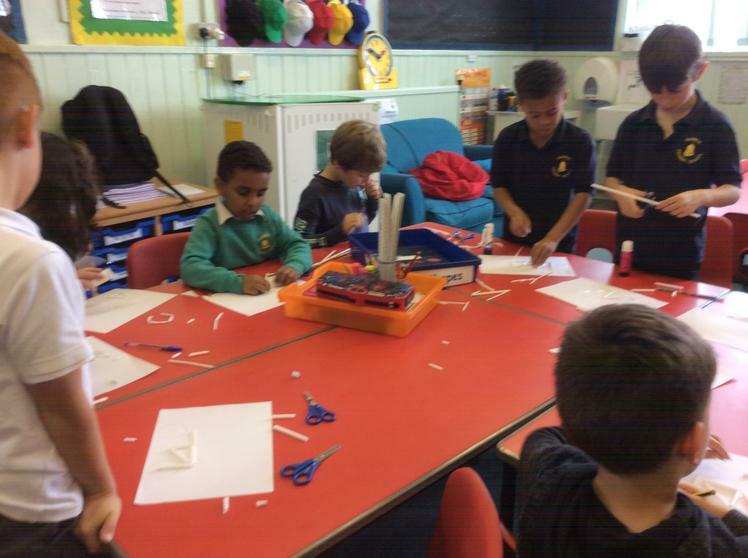 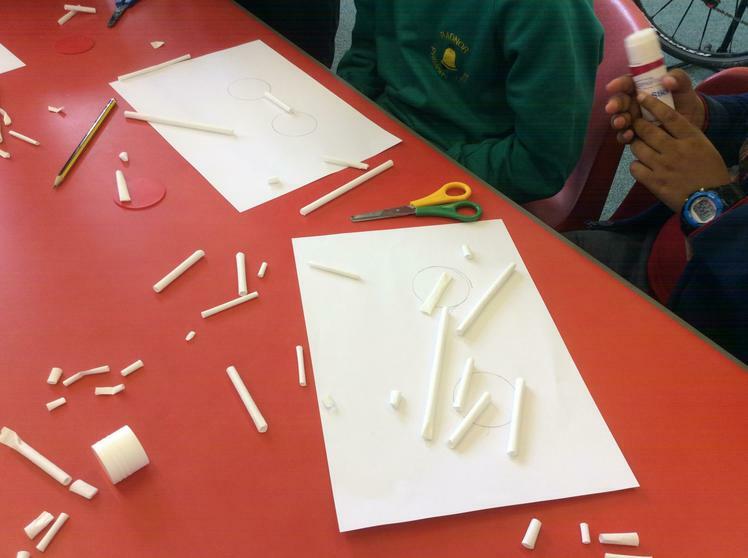 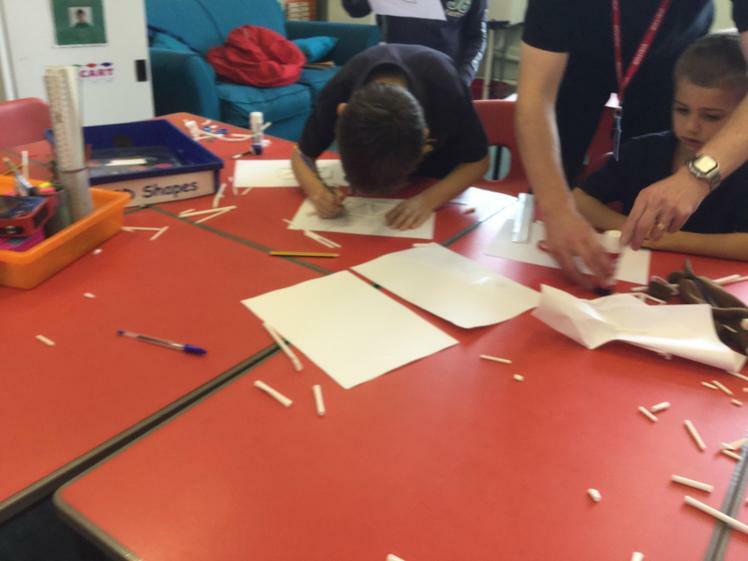 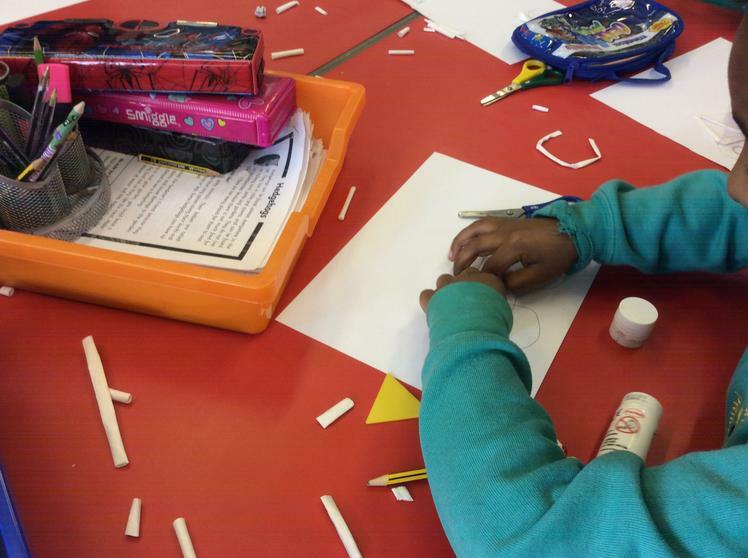 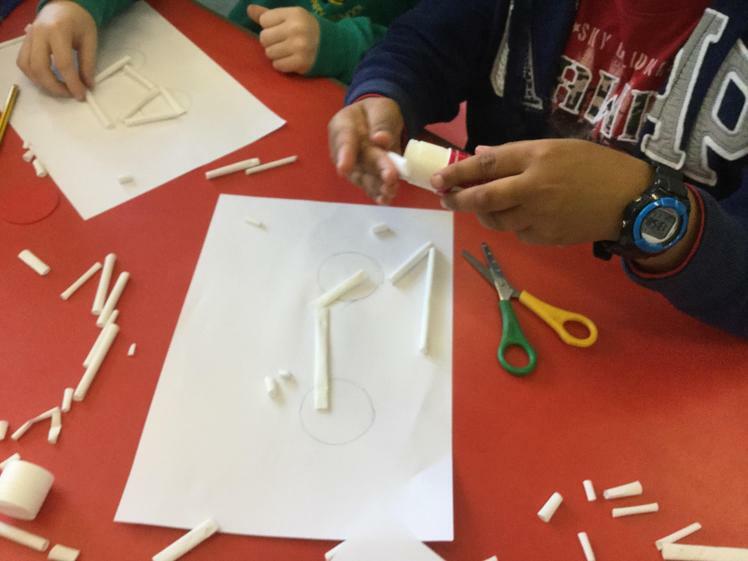 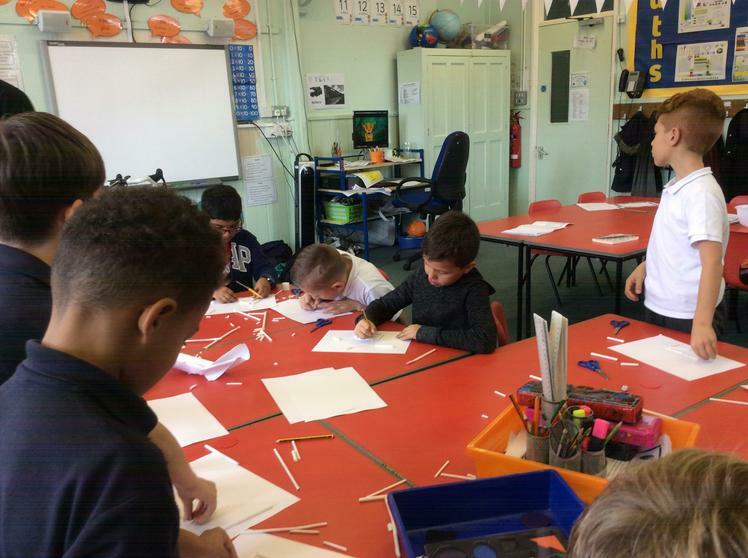 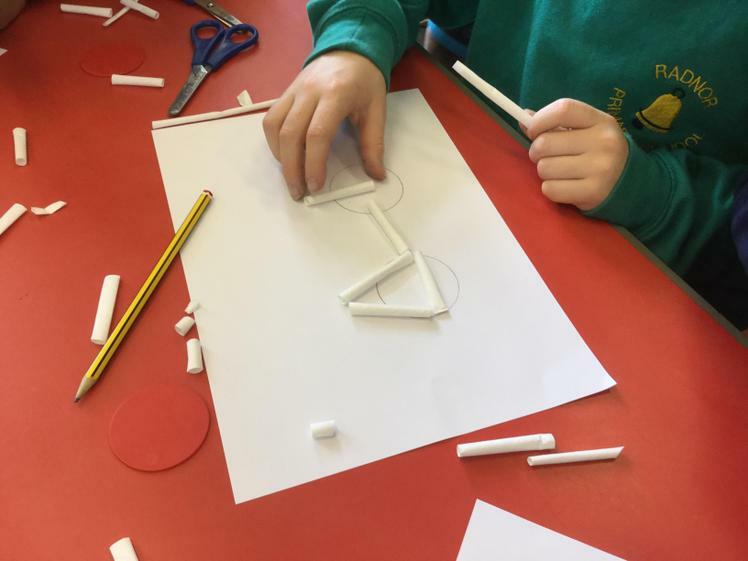 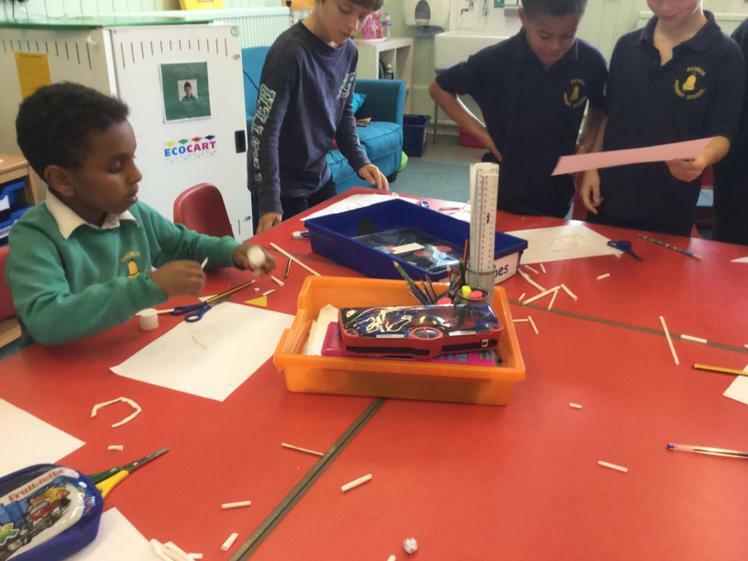 In bicycle maths they were making drawings of bicycles and sticking cut up paper straws on the drawings to make the frame and really enjoying themselves. 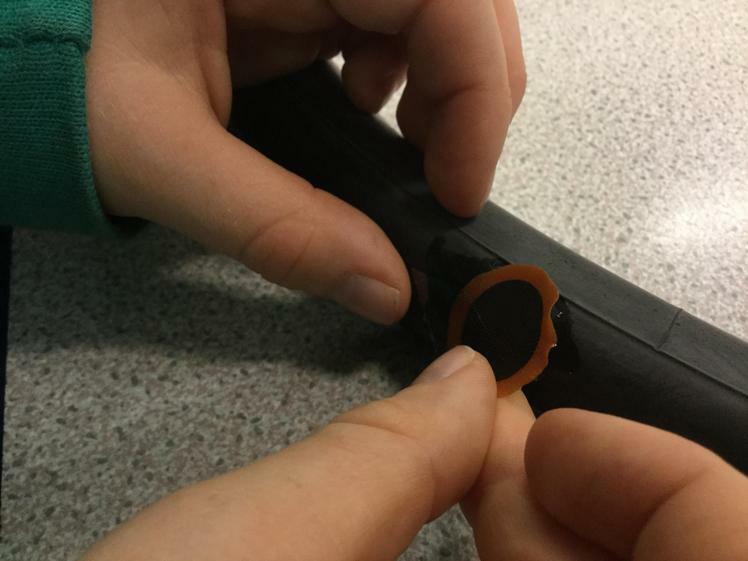 They were fixing bike wheel punctures with glue and little patches that stop air from leaking(there was also a bike pump).They had lots of fun and also worked very hard. 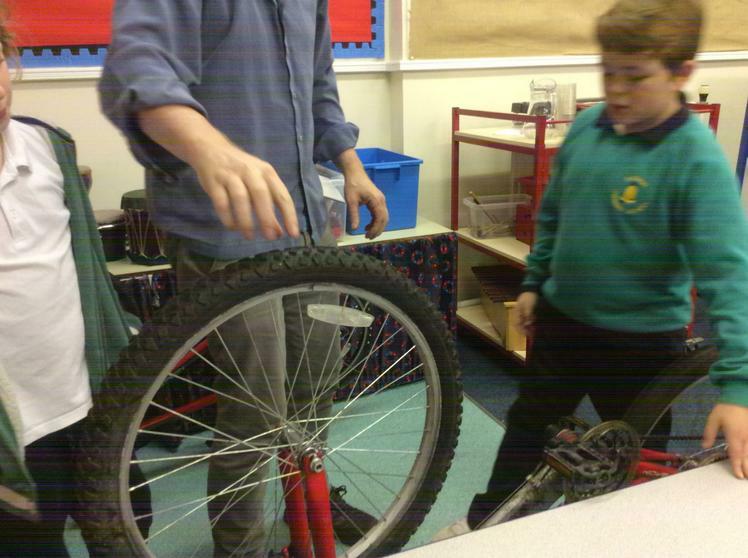 They were measuring the circumference of the wheels and x it by the diameter. 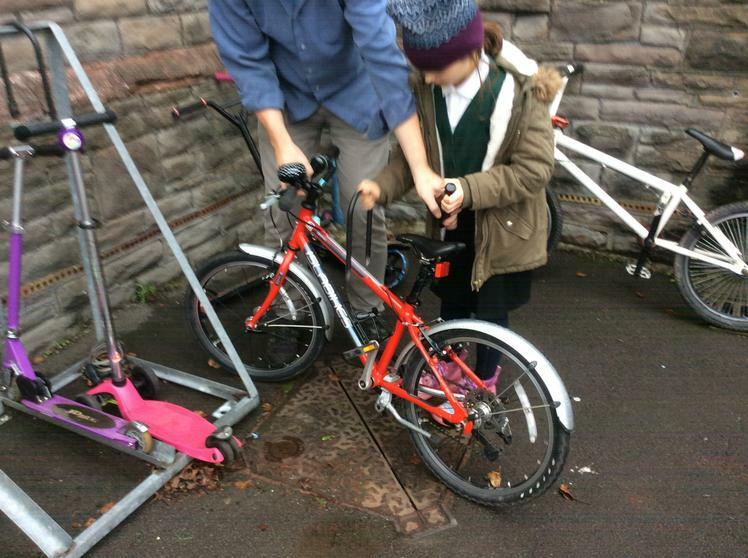 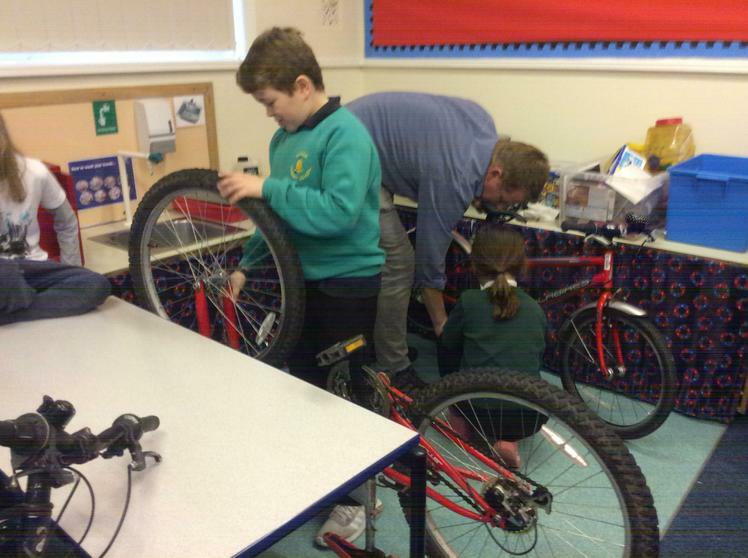 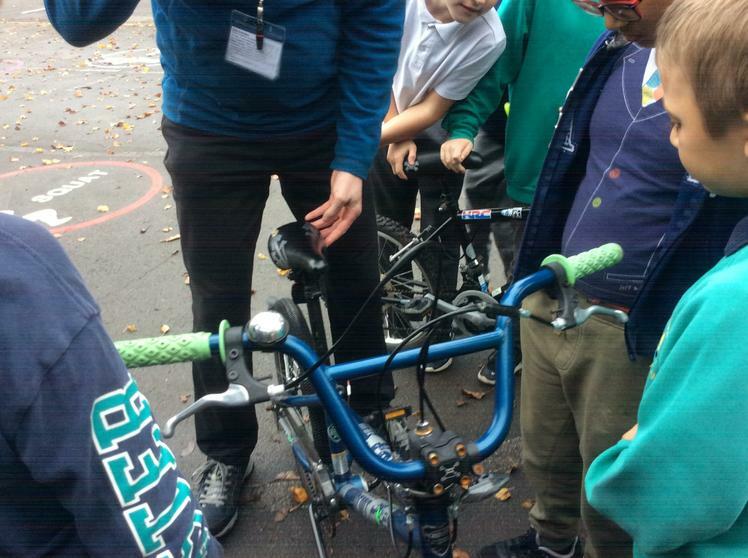 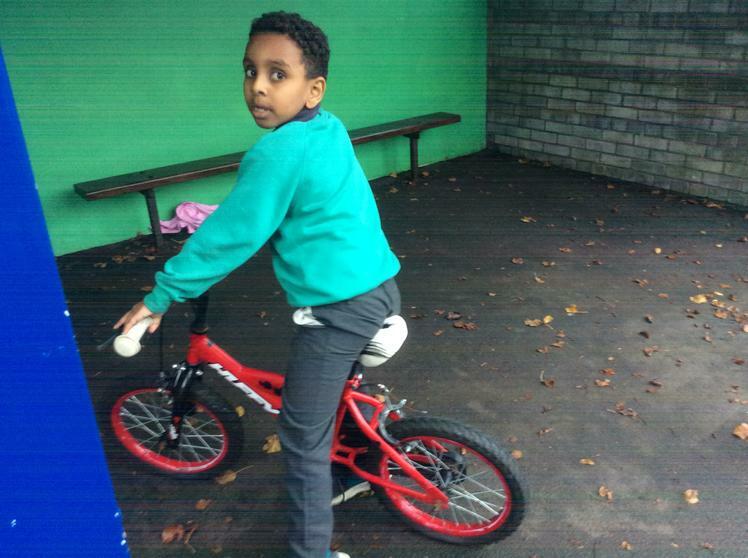 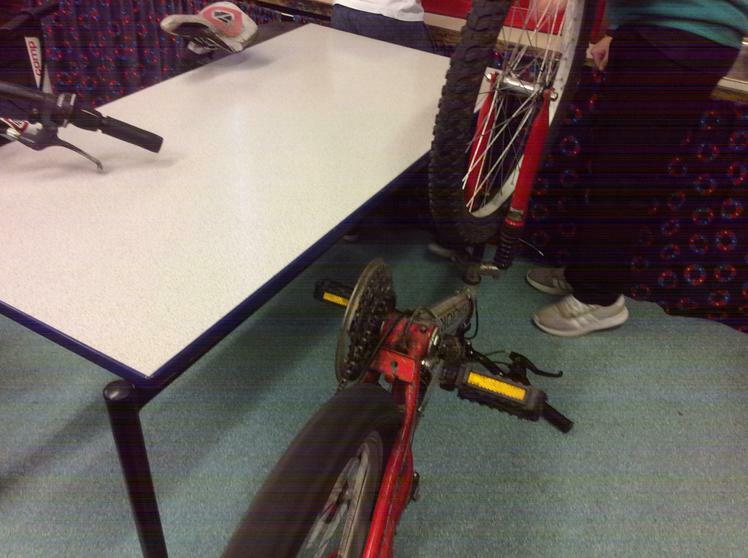 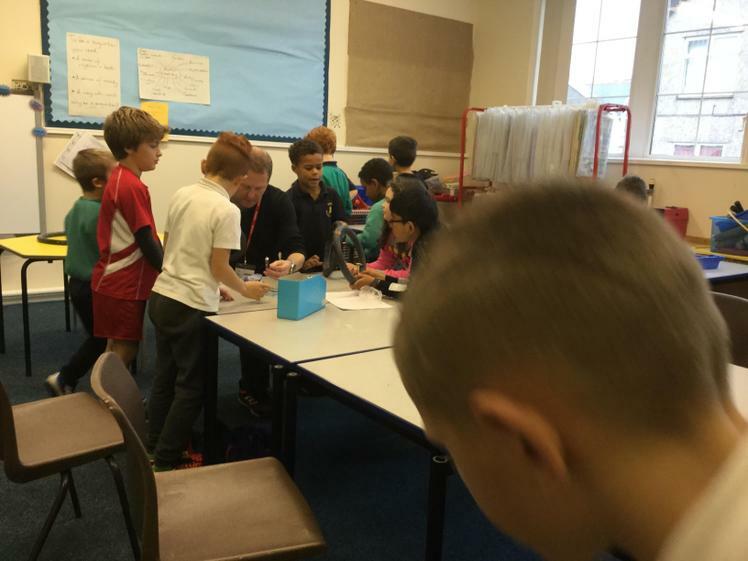 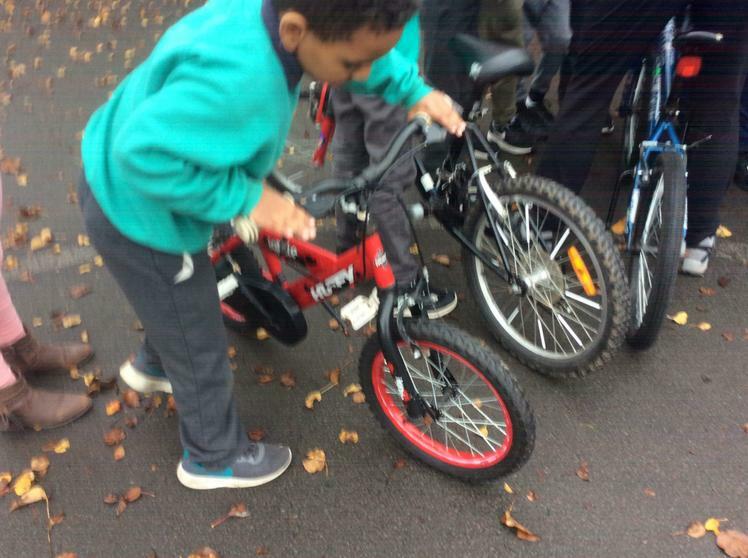 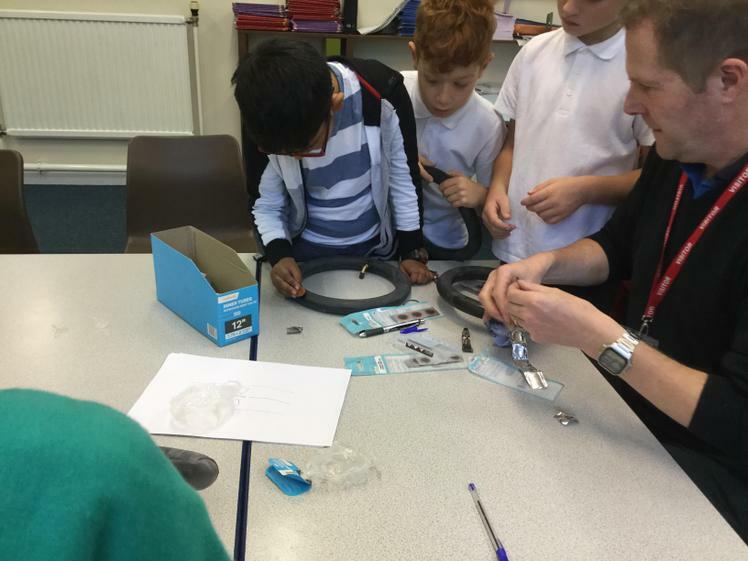 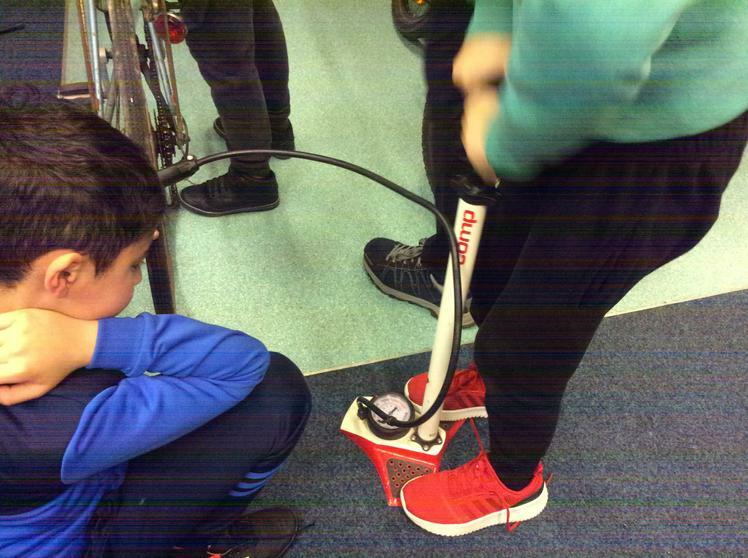 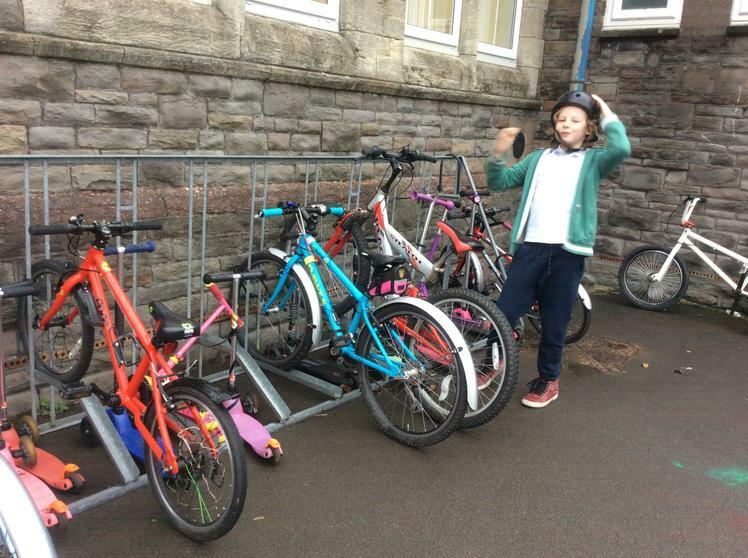 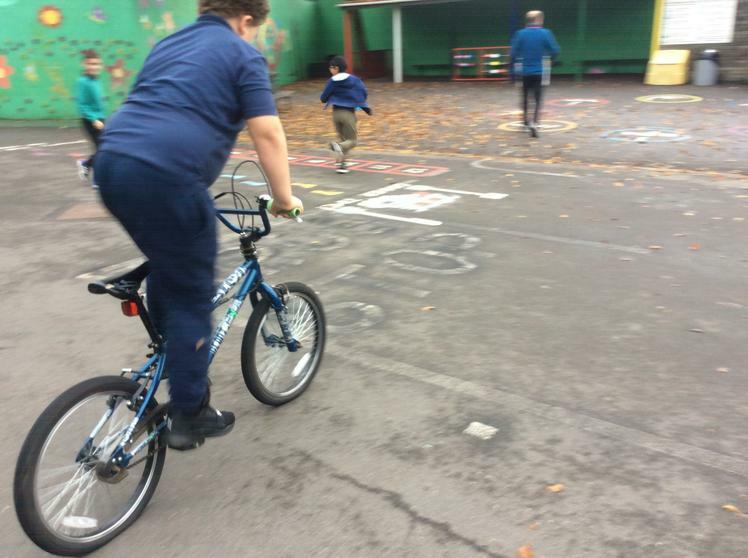 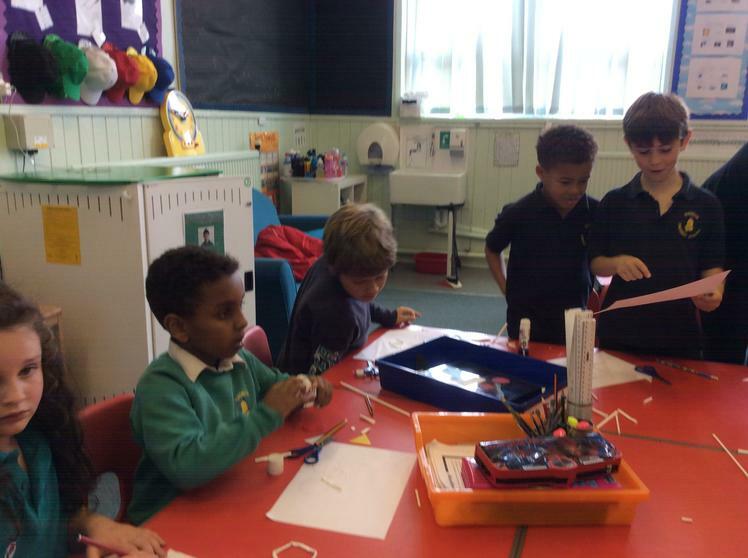 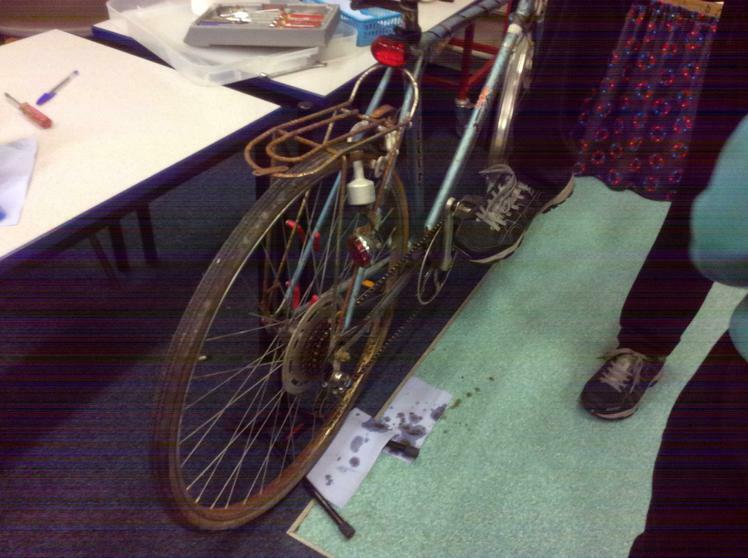 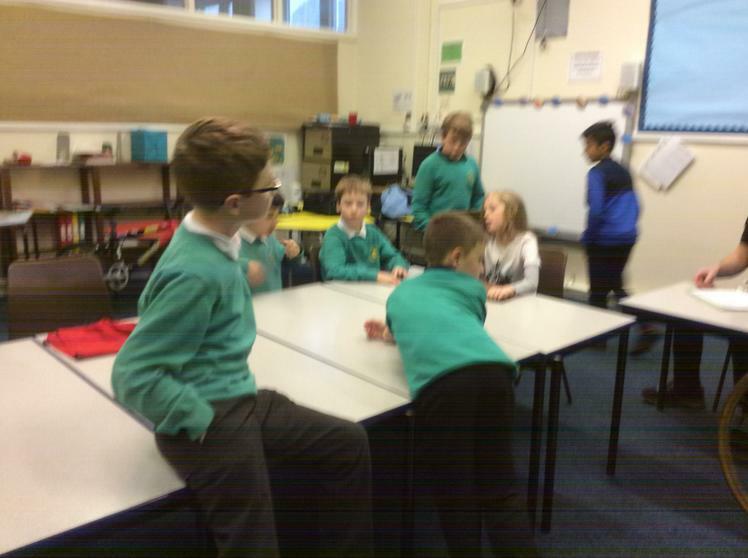 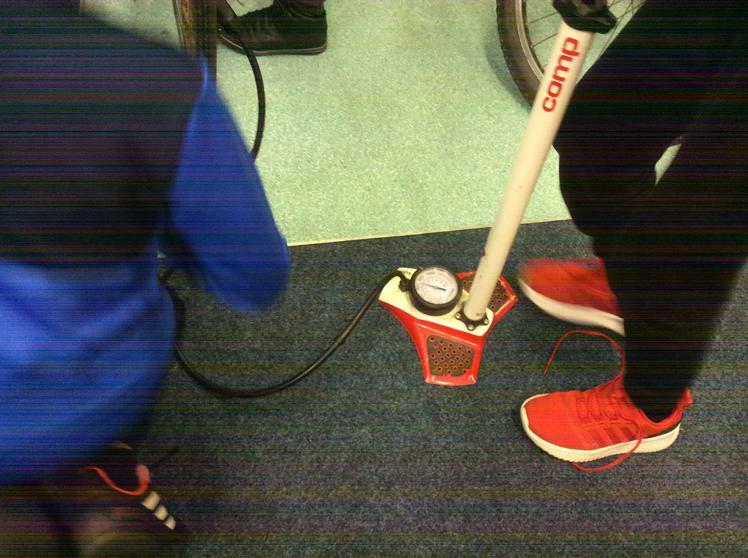 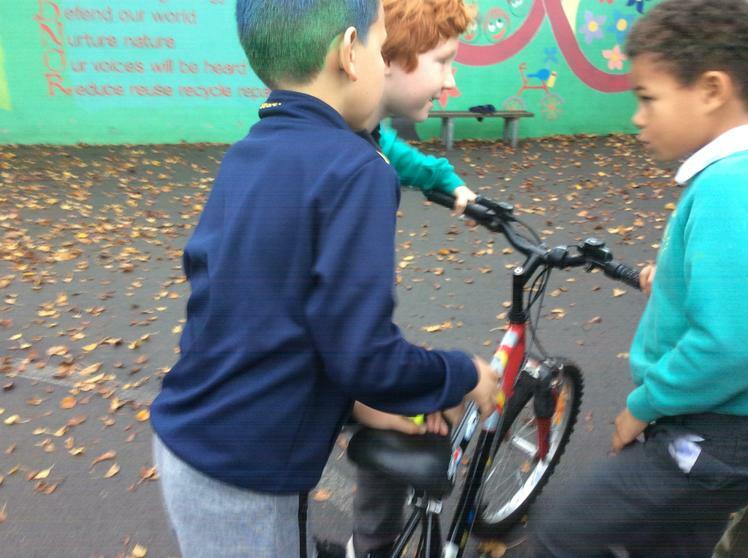 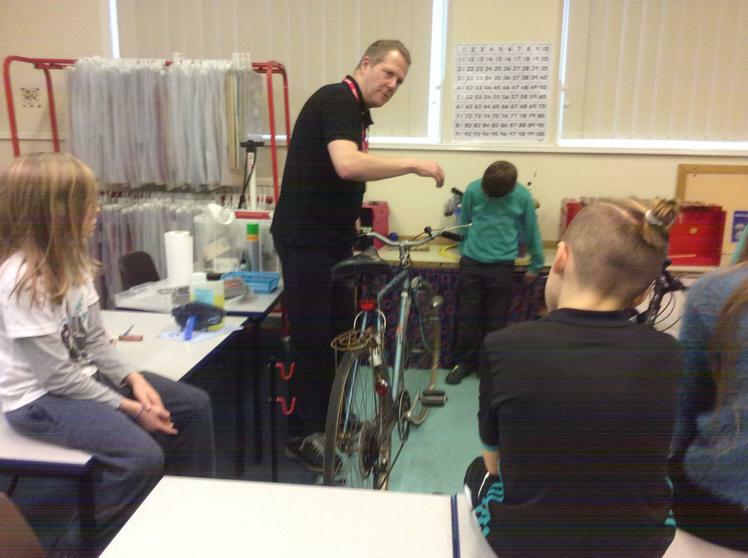 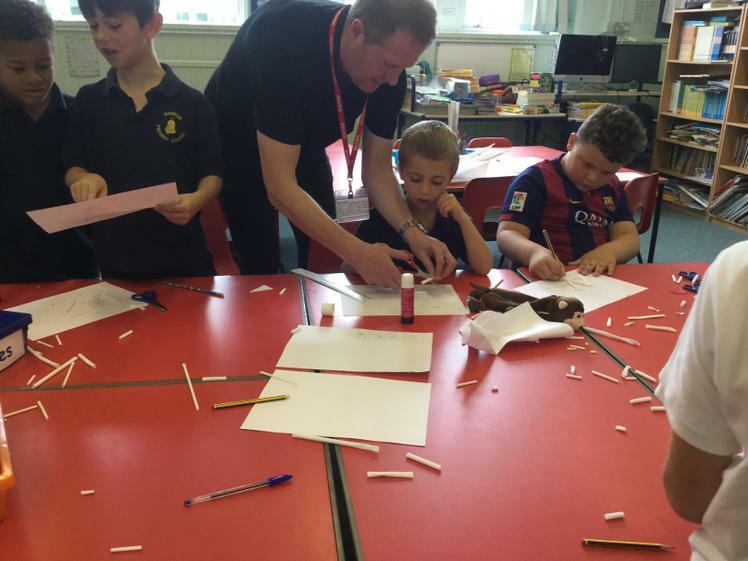 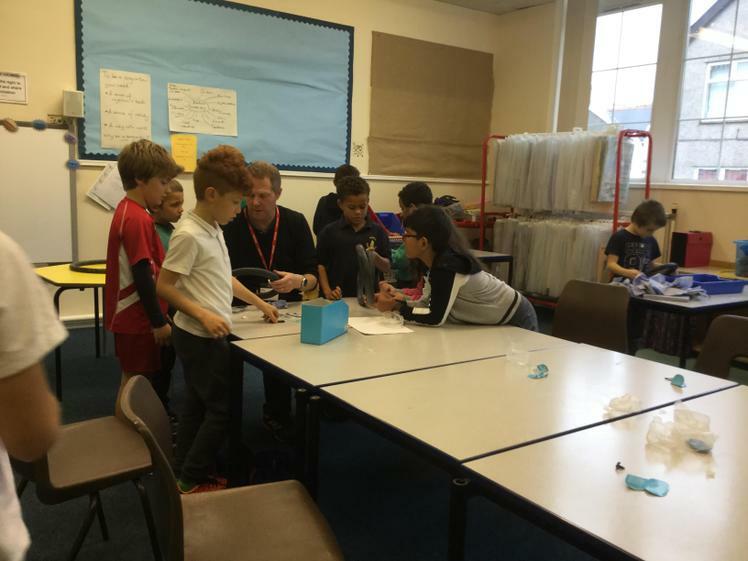 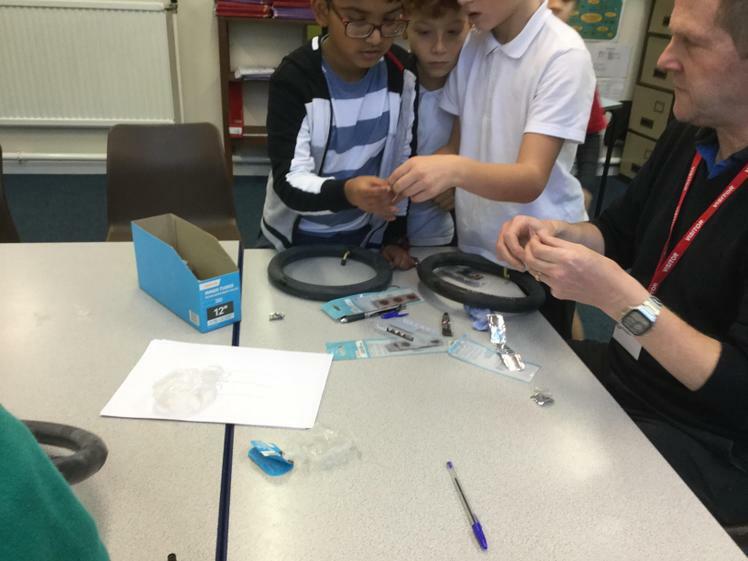 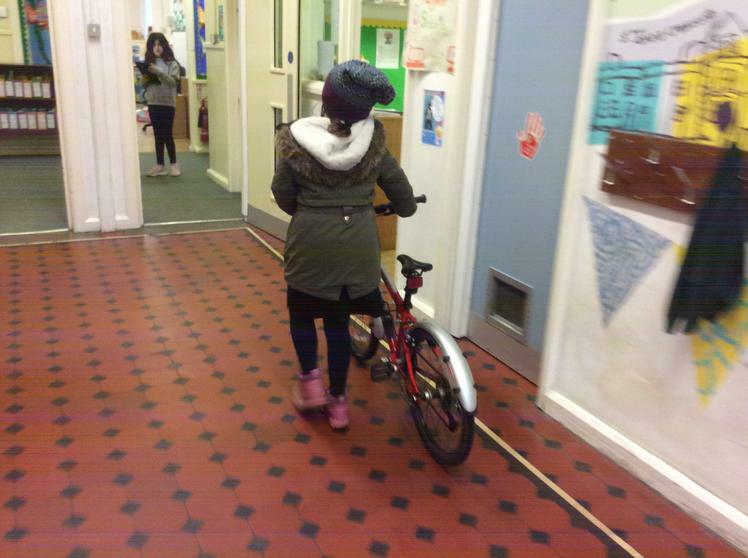 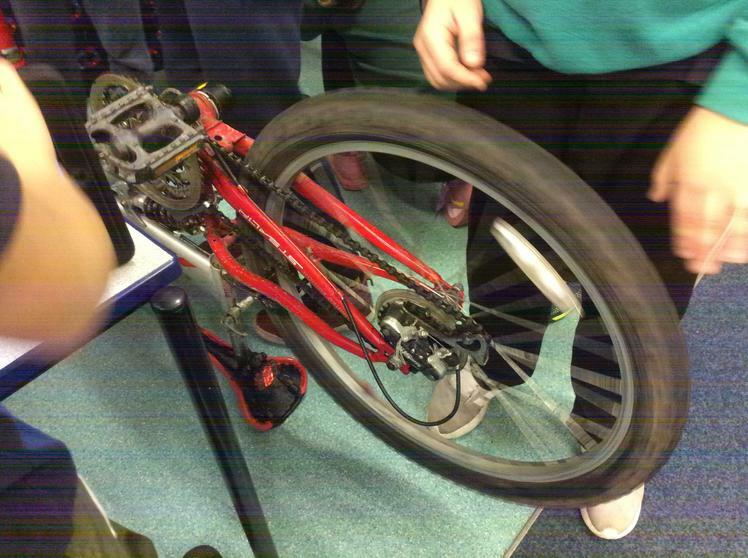 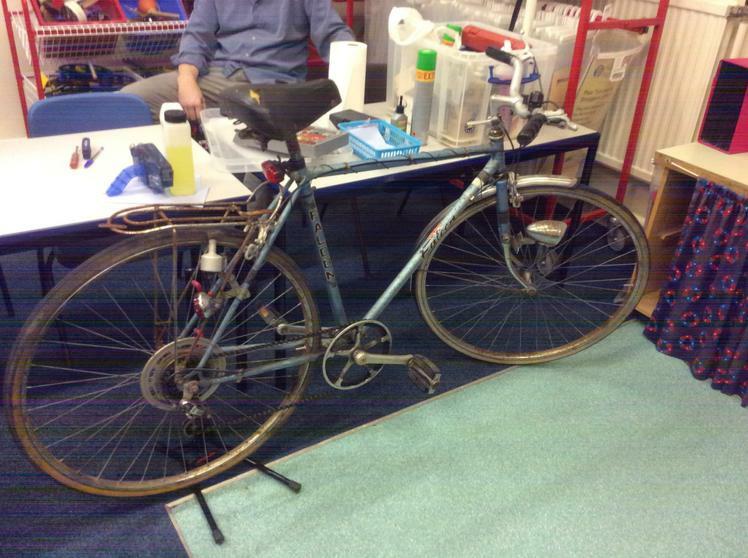 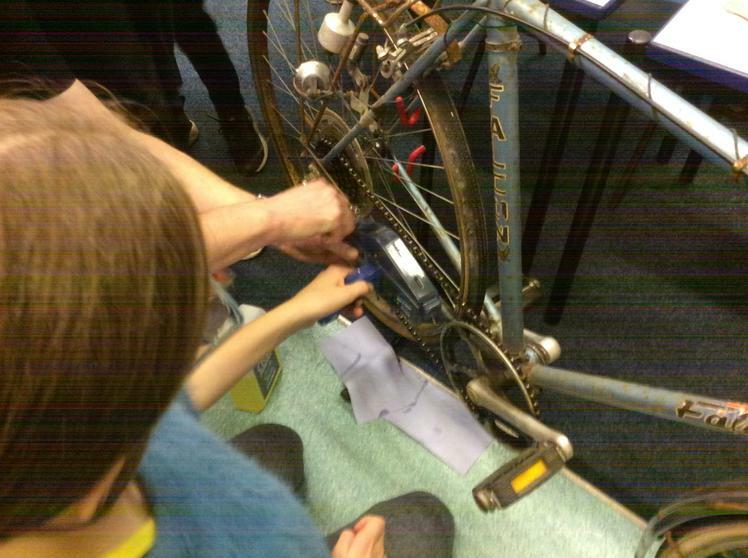 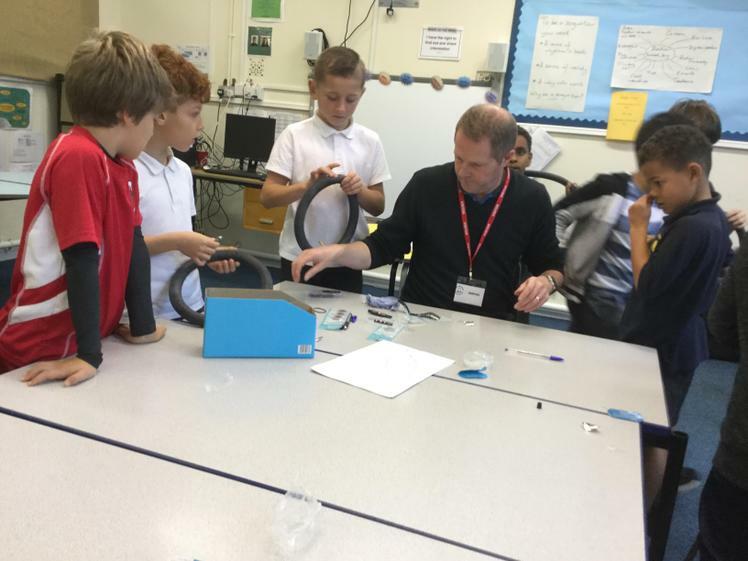 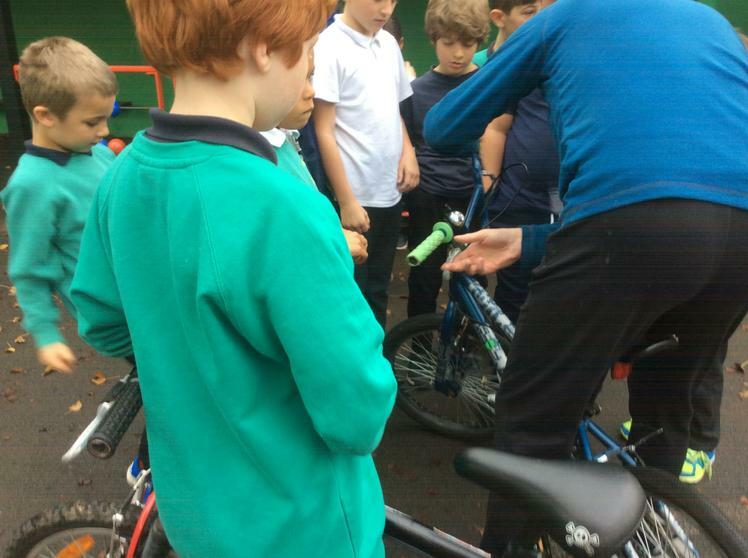 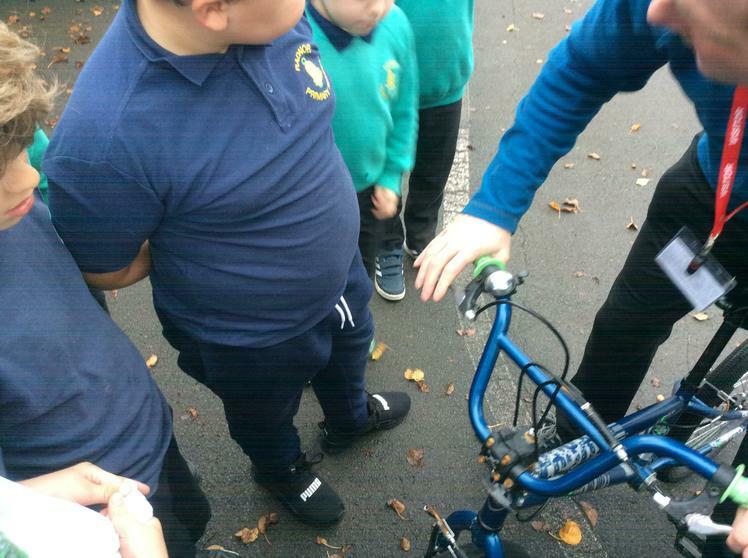 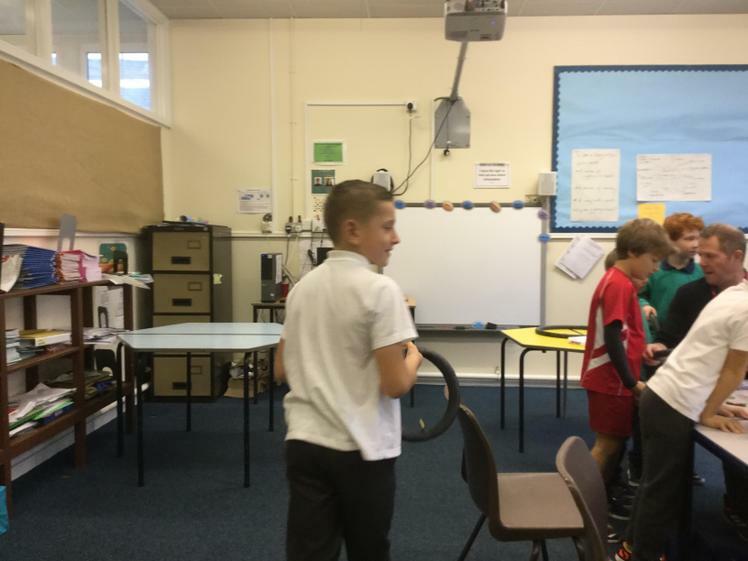 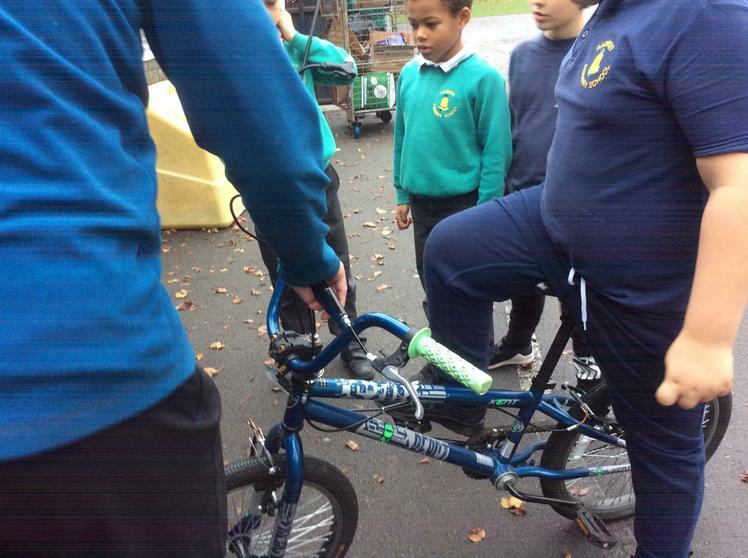 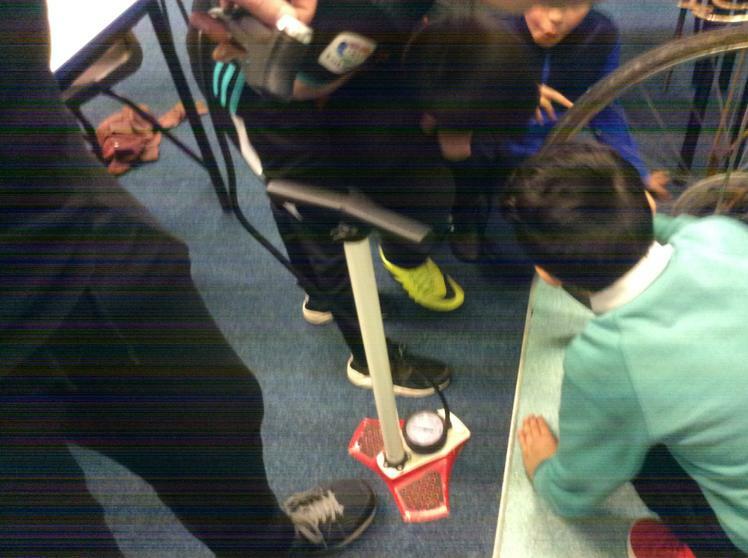 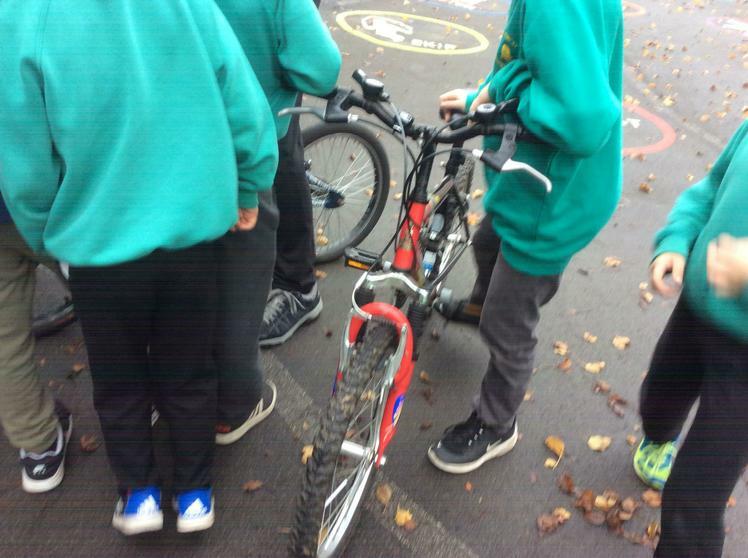 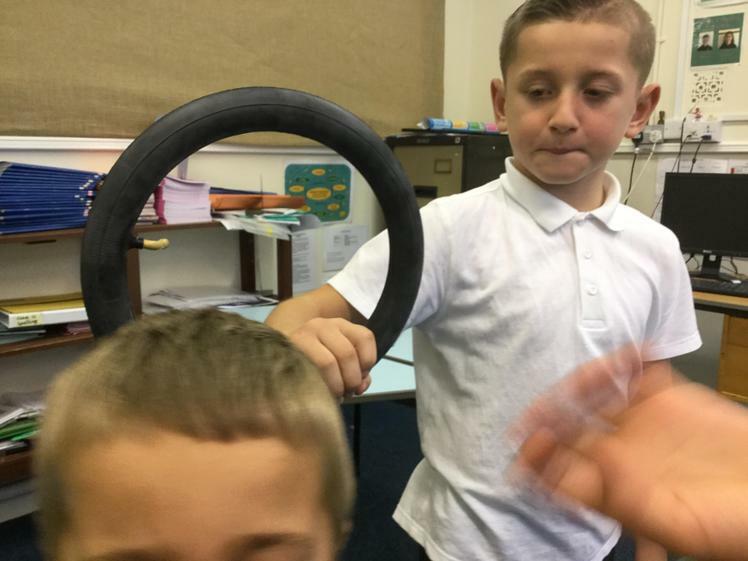 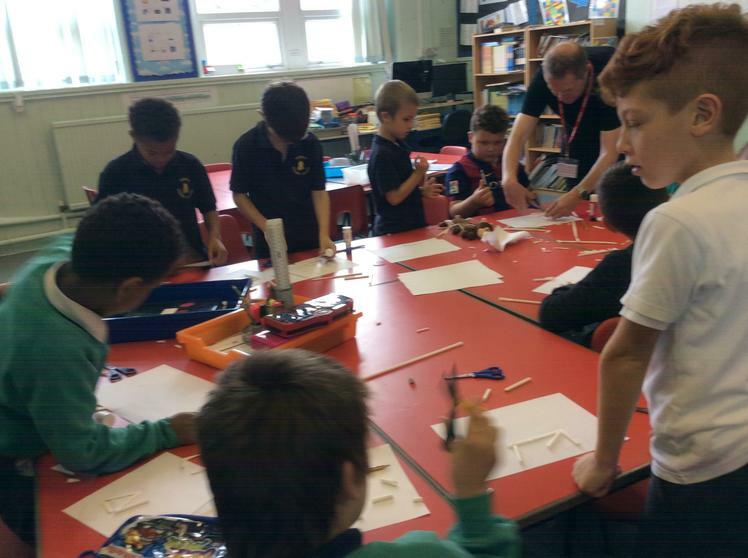 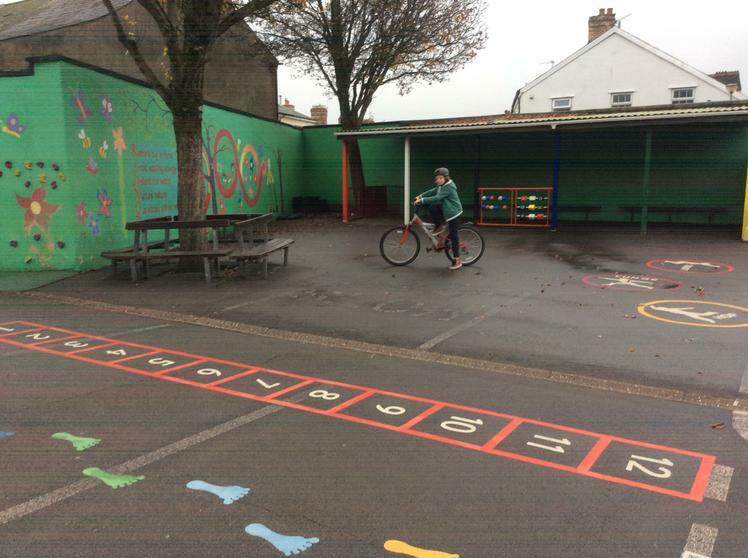 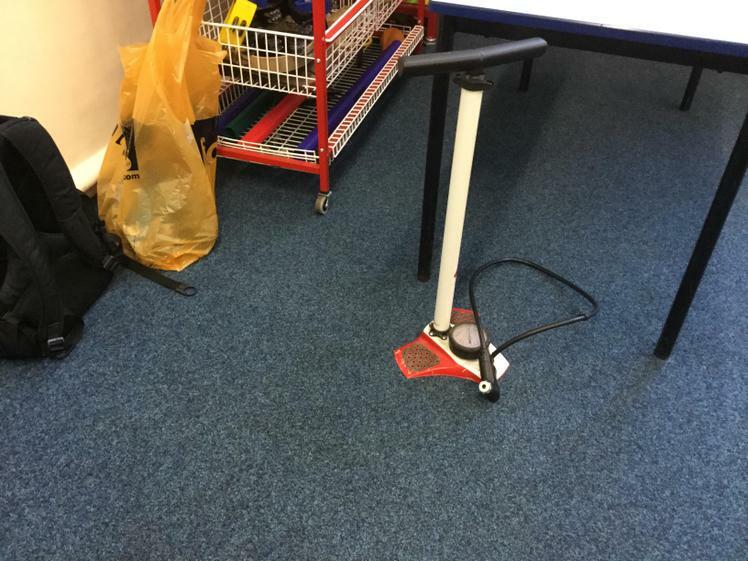 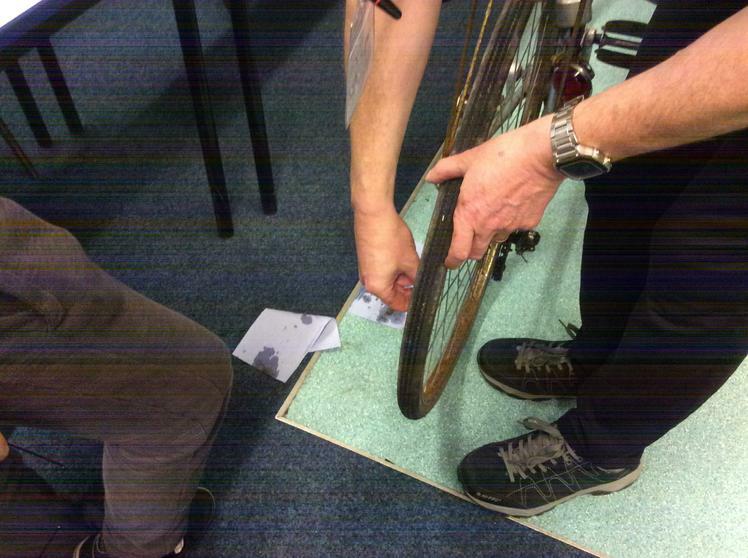 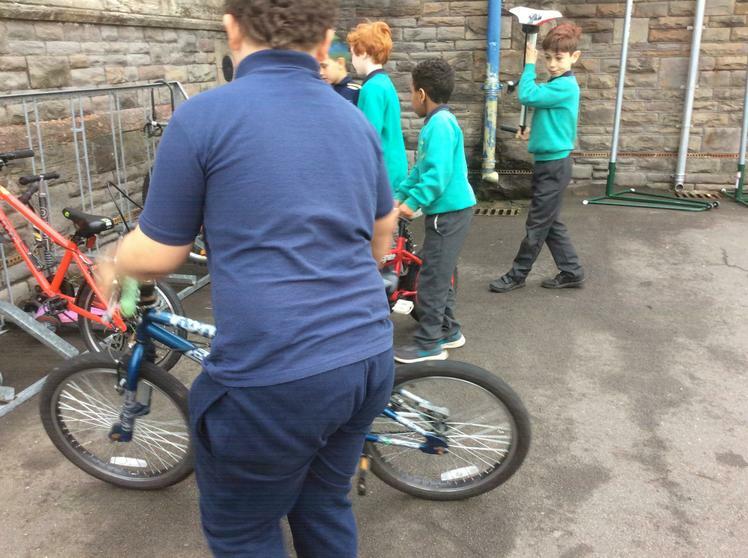 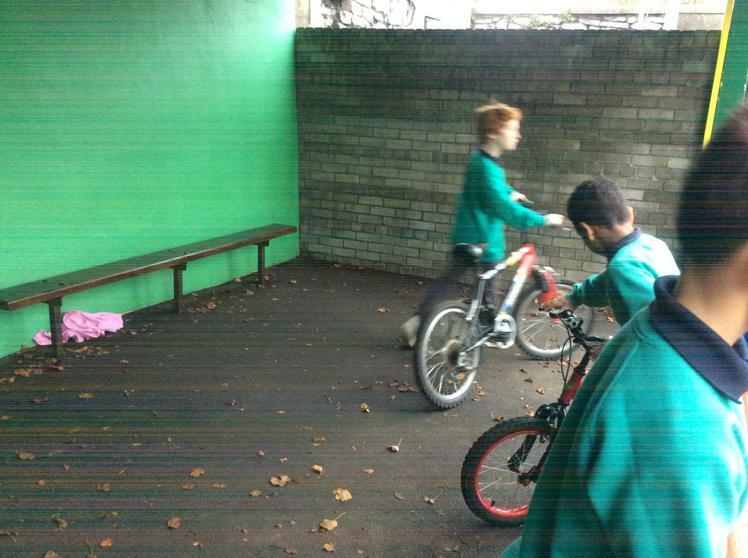 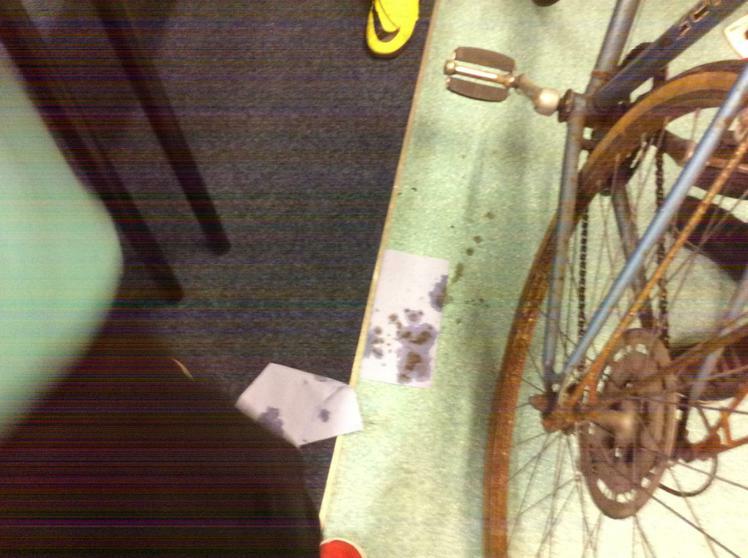 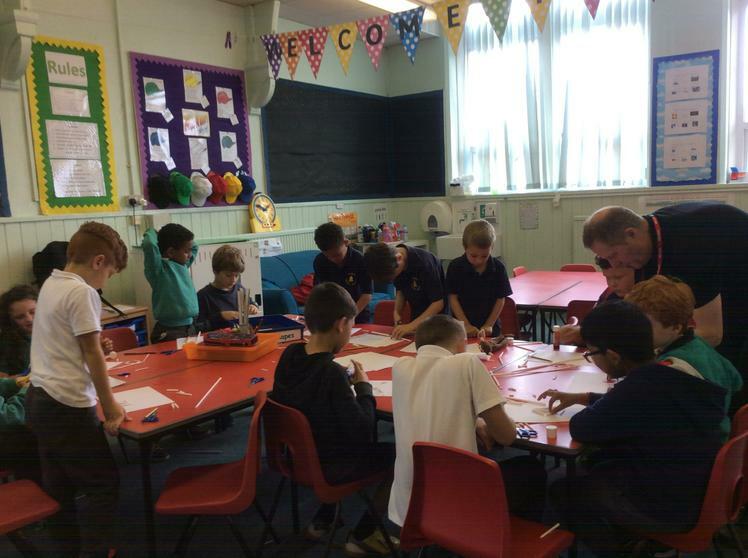 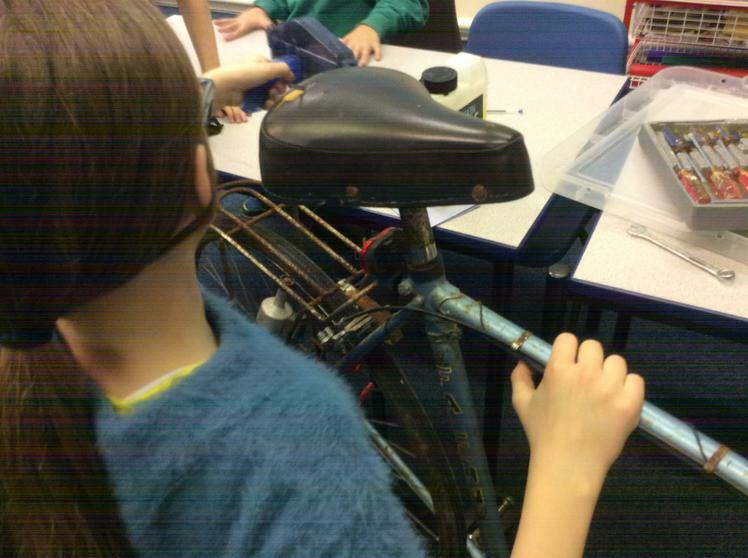 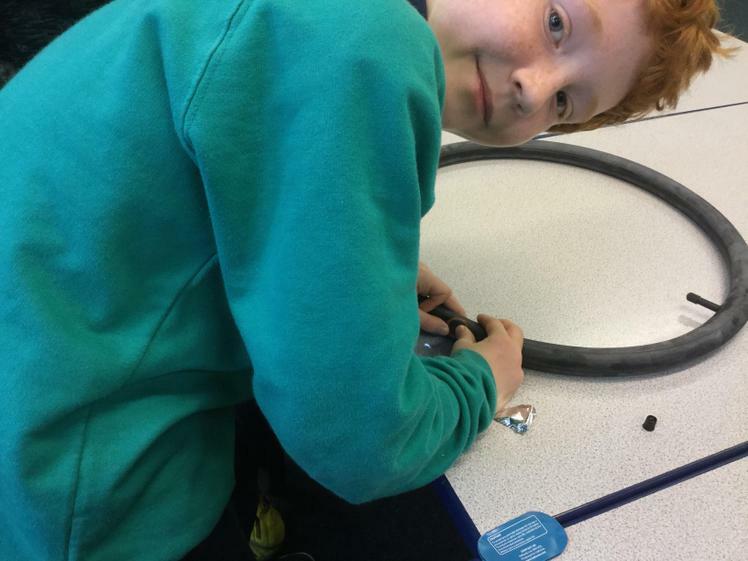 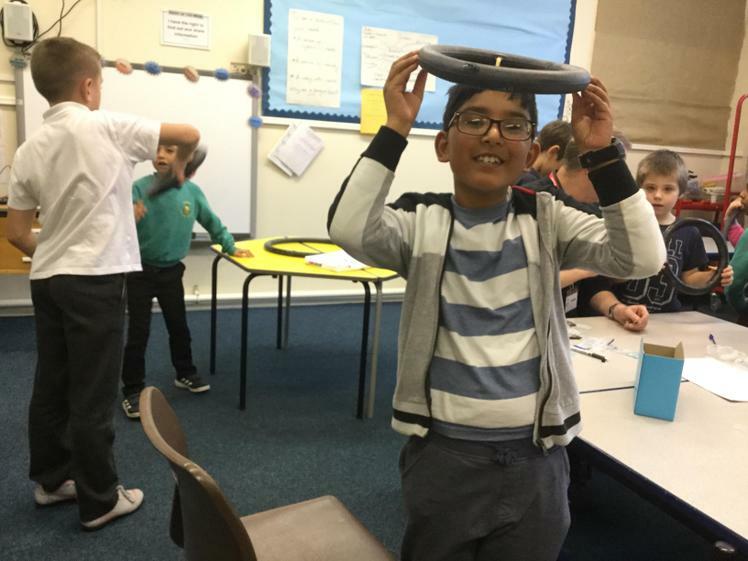 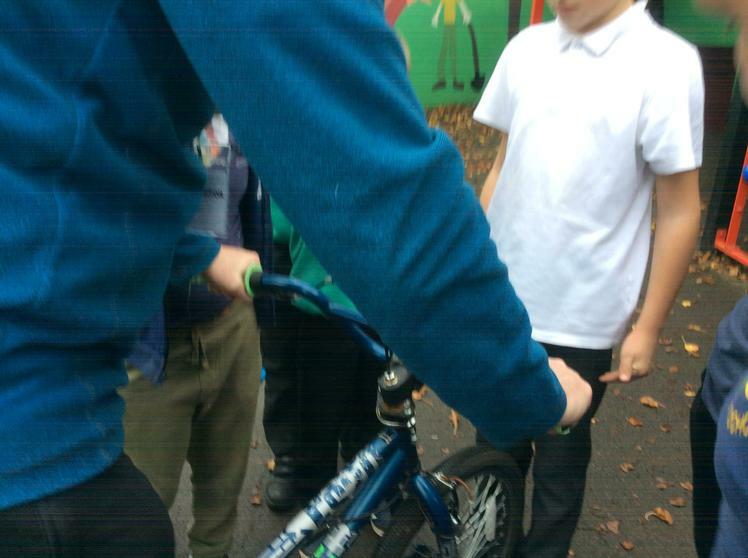 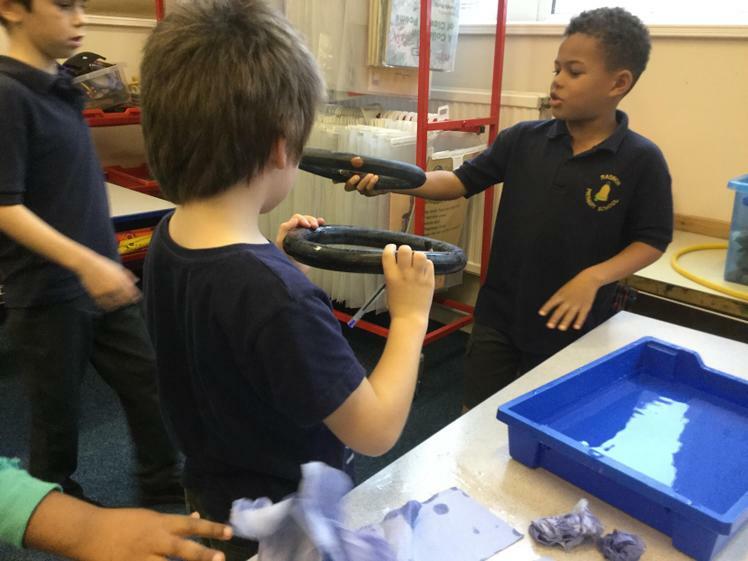 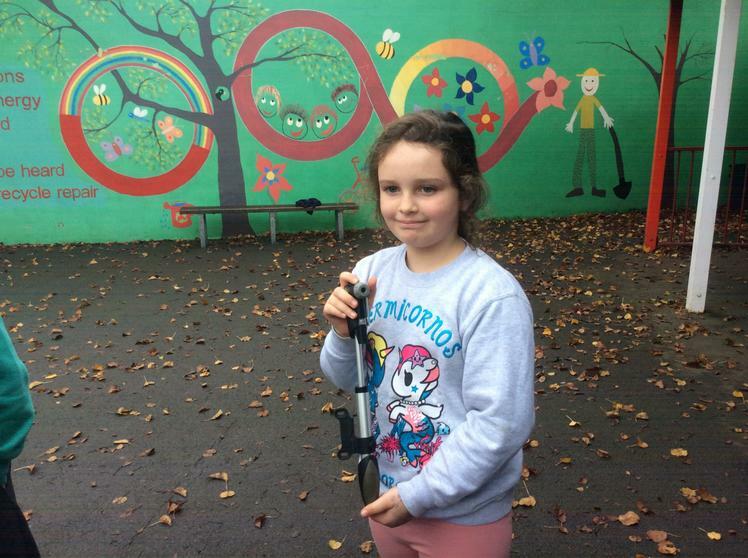 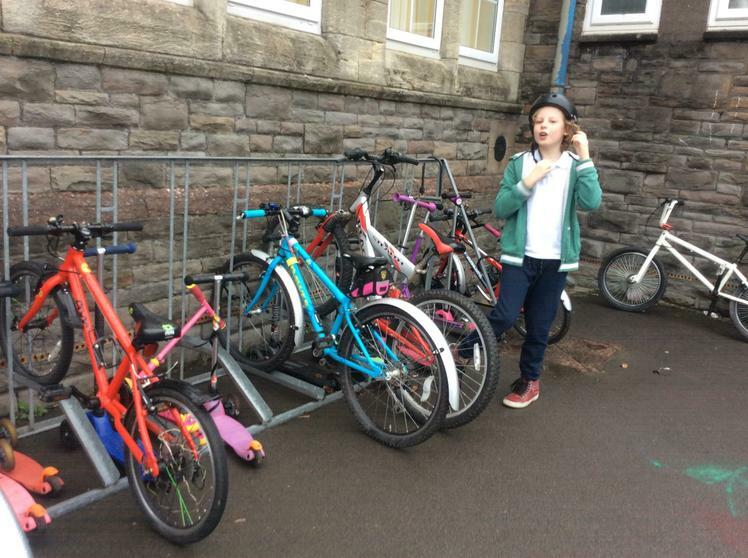 In week 6 they were fixing Mr Roderick’s bike the tyre was buckled and the chains were dirty.